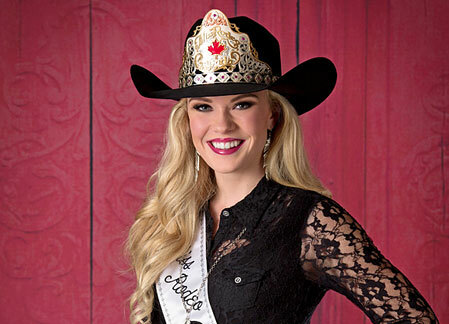 Announcing the Miss Rodeo Leduc Black Gold Royalty Program! If you are a young woman who loves rodeo, the Leduc Black Gold Pro Rodeo and Exhibition Association may have an awesome opportunity for you. The Association is excited to announce the return of the Leduc Black Gold Royalty program. Dana Kostick, the chairperson of the Royalty Committee, says "Bringing back the Royalty program is a very exciting initiative. We are building on the energy that the Association has been creating around the community and with the Rodeo. The Royalty program is aimed at celebrating the traditions of agriculture and promoting the sport of Rodeo and the community of Leduc." "Taking part in the Royalty program will be a wonderful experience and a great opportunity for contestants." Kostick continues. "As Rodeo Royalty you will be an ambassador for the sport of rodeo, the Leduc Black Gold Pro Rodeo Association and the City of Leduc." 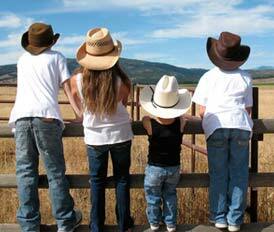 "Our Rodeo Royalty will attend events throughout the year including rodeos, local fundraisers, and ag-related events." Dave Rock, President of the Leduc Black Gold Pro Rodeo Association noted, "As a representative of the Leduc Rodeo Association, the winner and her ladies-in-waiting are given the chance to travel to events throughout Alberta, make connections with kids, fans, sponsors, contestants and organizers. They will have opportunities to promote the sport, work with media, network with people, build public speaking and presentation skills, and much more." Contestants must be between 20-24 years of age with riding experience and access to a horse and trailer during her reign, which will run from January to December of each year. Kostick is excited that the first year's competition will take place in January 2017. "It is a very exciting time to be part of Rodeo and the Leduc Rodeo Association," says Kostick, "2017 looks to be another great year for Rodeo in Leduc." The 2017 competition will feature public speaking, interviews, and horsemanship sessions. Applications to take part in the Miss Leduc Black Gold Rodeo competition are being accepted until December 31, 2016. Miss Leduc Black Gold Rodeo will be crowned at a rodeo sponsored community event to be held in mid-February, 2017. Please visit www.blackgoldrodeo.com to view program rules and regulation, application requirements and download the application. Click here to go to our Miss Rodeo Leduc Black Gold page to download the application and rules.